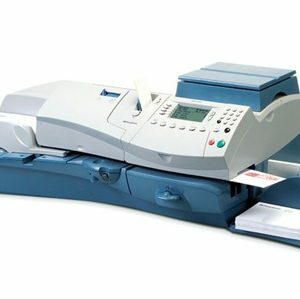 Franking Machine Ideal for letters and small packages up to 9.5mm thick. And the integrated weighing platform accurately weighs up to 5kg. 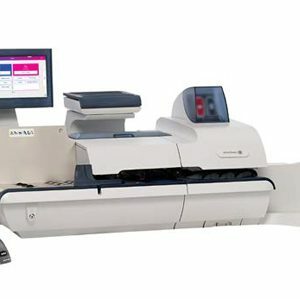 The Pitney Bowes DM175i office franking machine gives you anytime access to all An Post franking discounts. Not much bigger than an A4 sheet of paper, this is the ideal franking machine for any small office sending more than 50 letters or parcels per day. The 5kg integrated weighing-scale sets the machine with the correct postage automatically. You never have to guess or over-stamp your mail again. Now, you can promote your business at every opportunity. 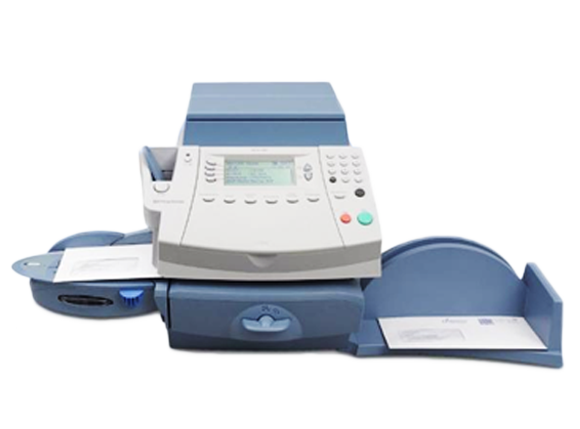 With the DM175i office franking machine, you can print your company logo, advertising message and more alongside the postage on every letter or parcel you send. 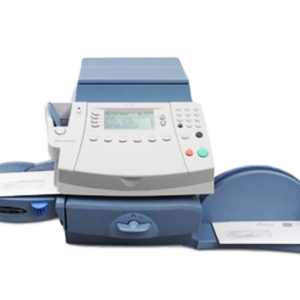 The DM175i Digital SMART Franking Machine is a compact, easy to use SMART franking machine that fits easily on a desktop and allows you to benefit from minimizing postage costs without compromising on efficiency. 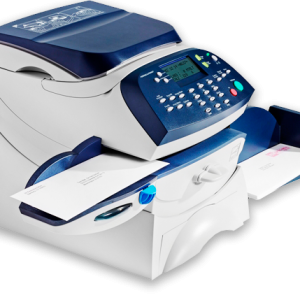 If you’ve never had a franking machine before, the DM175i Digital SMART Franking Machine will revolutionize the way you deal with your mail. The DM175i can save your business time and money.